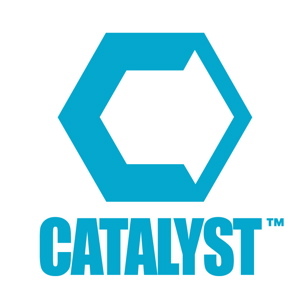 Once again, I had the privilege to attend Catalyst Atlanta. 13,000 Ministry Leaders meeting together in a sold-out arena. It was awesome. Wouldn’t it be a shame if we went to an event, read a great book, or was challenged by a friend and we simply summed it up as “amazing”. And that’s all we did! The purpose of interactions like these is to motivate change. I’m not sure what I expected, but I was challenged at the core of who I am. What did I learn? Lots. In fact too much for me to share on a simple blog. Embrace Tension. The theme this year was The Tension is Good. I entered not realizing all the tensions I had. They pointed out how we have so many things that war against each other. Home/Work. Management/Leadership. Worship/Teaching. Time/Moving of the Spirit. And on and on and on. These tensions are ultimately good, they can’t be resolved permanently, and must be embraced in order for us to grow. Embrace my Sentence. Daniel Pink talked about his book, Drive. It’s all about our motivations and helping us motivate a team. So many want our seat. Competition is huge! So if were to step away from it, would we even be missed? Behind every great person is a great sentence. In 1 sentence, what are you known for? We talk about this a lot in brand positioning statements for organizations — but what about individually? I’m going to clarify my sentence and embrace it. Embrace my Passion. Life is about far more than the work we do. God has placed us in our roles so we can influence. And He’s placed in us a passion. I want to help those around me, teach, develop and help the less fortunate. He’s commanded us to be doing this. I’m going to integrate my passion into my daily work. Not sure how right now, but I’m looking forward to the process. Wow, I just realized that my word count is over 300 words already! So, this is to be continued next week… stay tuned for my final 3 things I’m going to change and embrace. I’m going to start immediately on these 3. In fact right now (as these are posted), I’m meeting with my co-workers.